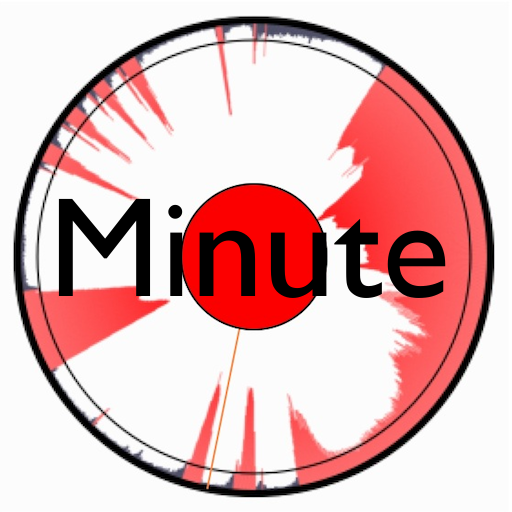 Minute v1.0.3 is no longer the App Store - Apple removed it's recording API. It may return in an updated form. 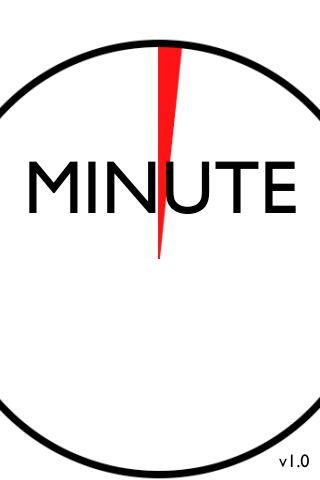 Minute is inspired by works and ideas of composer John Cage, specifically his pieces "Indeterminacy" and "Essay." Up to one minute of sound can be recorded, by touching the central red circle. "Words" are detected and the "spaces" around them are stretched until the resulting sound reaches the specified length, which is initially set to one minute. These "spaces" can be suppressed and played as true silence. Instead of the "spaces" being stretched, the "words" are. The "words" can also be suppressed, so that only the silences between them are heard. • The level distinguishing words from spaces can be set by touching the screen, while the desired length of the resulting sound is controlled by the slider. If the stretch amont is less than 1, which can happen if there is a lot of silence relative to the amount of time to squeeze it into, it will suppress playing the stretched sound entirely! • A volume slider lets you adjust Minute's audio to a comfortable level. • A message at the bottom of the screen tells you how much the stretched sounds are stretched, and the silence level. The parts of the sound that are played without stretching are marked in red, while the stretched or suppressed parts are in gray (or very light gray if they are "silent"). 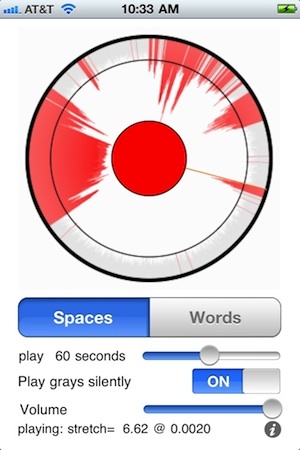 You can adjust Minute so that the sound you play is always stretched by setting the "spaces level" very high. Minute now runs on all models of iPhones/iPod Touches from iOs7 on, and on iPads via the stretchy compatibility mode. Thanks! to the John Cage Trust. Minute is by the author of the highly praised synthicity itself, SrutiBox, Droneo, Tondo, Wind Chimes, Enumero, Yes Session, Banshee, Ellipsynth, and LakePiano .